Soundproof Cow sells a comprehensive lineup of Class A fire rated studio foam. Class A — known as Class 1 in some areas — comprises products with the highest level of fire protection available. Building materials that are Class A rated must score between 0 and 25 on a flame spread test — a measure of how rapidly flames spread across their surface. Lower test scores mean better fire resistance. 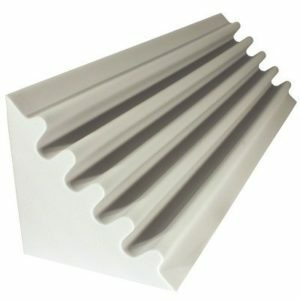 Our fire rated studio foam products are perfect for educational facilities, medical facilities, clean rooms, computer rooms, recording studios, auditoriums, theaters, gun ranges, warehousing facilities, industrial facilities and other environments where superior fire protection is required. They are approved for use in many parts of the country where local building codes prohibit conventional sound deadening materials. 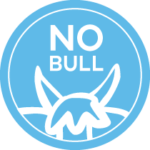 However, you should always check local requirements before making a purchase. 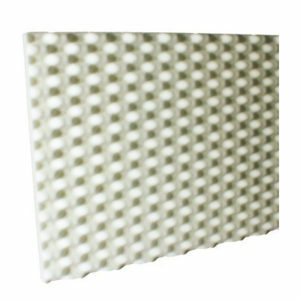 Class A™ anechoic studio foam, basic sound absorbing panels that can be installed on any wall to reduce echoes and improve a room’s acoustic properties. Class A™ bass wedge studio foam, deep V-cut fire rated studio foam that has been specially designed for rooms with poor low frequency control. 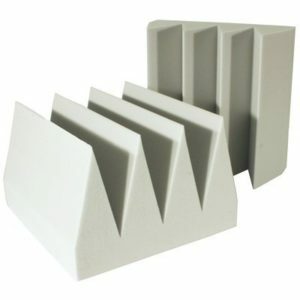 Class A™ corner trap studio foam, freestanding triangular bass traps with a fluted pattern for preventing low frequency reverberations. 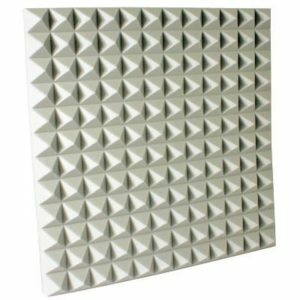 Class A™ pyramid studio foam, fire-resistant acoustic foam that’s ideal for improving sound quality in professional recording studios, theaters and other large spaces. 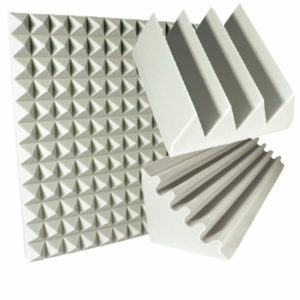 Class A™ studio foam kits containing complete turnkey solutions for soundproofing a room. Visit individual product pages to view detailed specifications about any of our fire resistant studio foam materials. We also offer a range of conventional polyurethane foam products that can be used in spaces where fire resistance isn’t an issue. Keep browsing our website or contact a representative for more information.